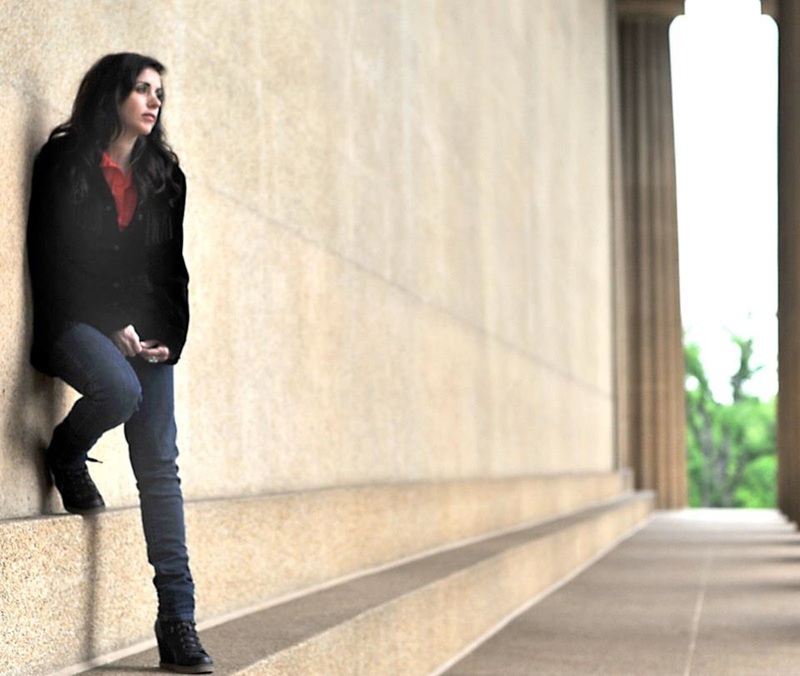 Four years after the release of her most recent full album of original songs, it is a very warm welcome back to Eileen Rose and her brand of gutsy impassioned Americana music. As a prelude to BE MANY GONE, Eileen put out a limited taster of some of the new songs in the aptly named stripped back album BONES but now the time has come to unleash the multi instrumental versions to her target audience in the US and Europe. Not that Eileen has been idle in the intervening years since LUNA TURISTA was released as her Silver Threads honky tonk project has kept things ticking over in Nashville allowing her to indulge in her passion for traditional country music with a live residency and a couple of releases. However the new album with the Legendary Rich Gilbert co-steering it through to release sees Eileen put the country and indie rock past on one side as she embarks on an explorative journey through an eclectic range of experimental sounds. While the sampling of Latino, rock n’ roll and jazz/blues makes BE MANY GONE multifarious in parts, ultimately Eileen has settled for a laid back lounge sound which suits to a tee her rounded, versatile and slightly sultry vocal style. At a shade just short under forty minutes, the album apologetically doesn’t out stay its welcome which is not needed as at the end of the nine tracks you just start to get settled with a temptation to put your feet up, pour another and relax. This is due to the tempo being lowered in the final three songs where a backdrop of dainty pedal steel and fiddle guide through ‘Wake Up Silly Girl’, ‘Comfort Me’ and ‘There Will Be Many Gone’. 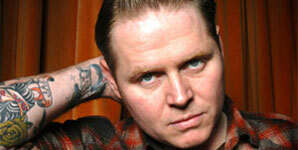 The more upbeat songs on the album include the opening ‘Queen of the Fake Smile’ and the rock n’ roll retro feel to ‘Just Ain’t So’ where Rich grasps the opportunity to showcase his blistering electric guitar acumen, reminiscent to what those lucky enough to catch him at the Maverick Festival saw. The driving double bass from Joe Fick keeps this track ticking over and an example of the diversity of instruments that are sprinkled throughout the album. The final four songs were all previewed in demo format on BONES and each has its own distinct appeal to solidify the album into a release of merit. The only track that Eileen didn’t solo write was ‘Prove Me Wrong’,a joint effort with UK singer songwriter Boo Hewerdine where letting Rich’s pedal steel wash over you enhances this well written tune. ‘Space You Needed’ is another memorable song which oozes with sophistication while ‘She’s Yours’ will transport you to a late night jazz blues bar where a little trumpet joins the strings and percussion to ensure the evening prolongs way past the midnight hour. The albums finest track sits right at its epicentre and sees Eileen experiment in a Latino inspired sound to record a duet with fellow Bostonian Frank Black. ‘Each Passing Hour’,with the accordion and castanets providing the south of the border feel, is an excellent piece of work, along the same lines as the wonderful cover of ‘Luckenbach Texas’ which Eileen recorded with Jim Lauderdale on an earlier album. Eileen made this new album available at shows on her recent short UK tour and hopefully will have sufficient resource to make it widely accessible in a number of formats. BE MANY GONE is brimful of good tunes and deserves to find its way into many collections. Having visited three of the world famous American music destinations in Nashville, Austin and Memphis, the latter of this trio was the one with the most mystique, aura and feeling that you were experiencing something special. 706 Union Avenue is far from the most imposing tourist attraction but it’s within the walls that matters most to music historians, connoisseurs and genuine fans. British skiffle/blues band The Dodge Brothers was certainly starry eyed on their visit to Sun Studios and while many people leave with some souvenir containing the iconic picture of the Million Dollar Quartet, they left with the recordings that laid the foundations of their third album THE SUN SET. 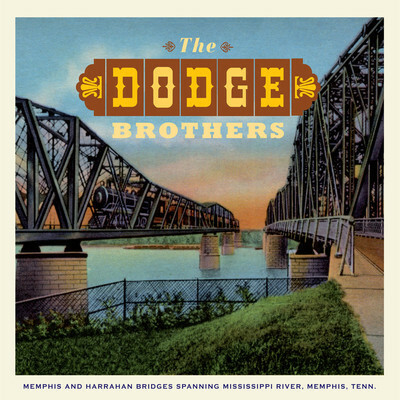 Comprising of ten original tracks which the band proudly state are self written old songs rather than new ones, The Dodge Brothers have tuned into the spirit of Sun to re-ignite the sound that revolutionised music in its day and has an eternal preservation label permanently attached to it. The driving rhythm of double bass, washboard, drums, guitar et al hurtles you through a forty minute sprint of shameless retro where you survive a ‘Trainwreck’ before reaching a ‘Wildflower’ destination. 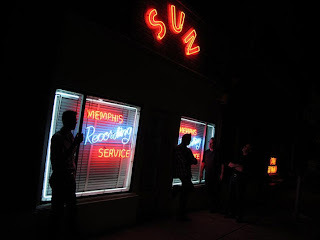 The making of this record was captured for airing by Radio 2 last year with the Mark Goes To Memphis documentary where double bass and harmonica player Mark Kermode used his day job presenting skills to enthuse about the band’s passion. Along with the Hammond Brothers, Mike and Al, and the band’s guitar/mandolin playing producing publicist Aly Hirjl, the four piece Dodge Brothers have produced a commendable and memorable piece of unspoilt Americana to create their small slice of the Sun legacy which exists within all modern day exponents of rock n’ roll. The previously mentioned track, ‘Trainwreck’ rises to the top of the rankings with its sheer power and magnetism that certainly doesn’t derail the album. However it’s not all frenetic offerings as ‘Strange Weather’ ambles through at a tuneful and pedestrian pace. The wonderfully titled ‘ATF (Alcohol, Tobacco and Firearms) Blues’ is another of the album’s peaks with an infectious beat while ‘Banker’s Blues’ opens with a flavour of the delta sound before launching into the signature Sun tempo which took a form of the blues into the stratosphere of commercial riches. The album pauses for another breather with the banjo led ‘Mr Jones’ before picking up the pace on the harmonica laced ‘Bye Bye. ‘Ghost House’ moves up the gears mid song while 'Last Highway' throbs to the beat of the road which just leaves the opening and closing tracks to consider. ‘Singled Out’ gets the album off to a flying start with the help of a toe tapping and head shaking drum backbeat while ‘Wildflower’ sees the band bring the Sun inspired juggernaut to a safe and almost serene ending in comparison. Make no mistake THE SUN SET is an album to be treasured and is a refreshing reminder of how roots music manages to remain relevant by harnessing the past and steering it into the future. The Dodge Brothers demonstrate a passion, desire and talent to make themselves important players in ensuring this process thrives in twenty first century Britain. 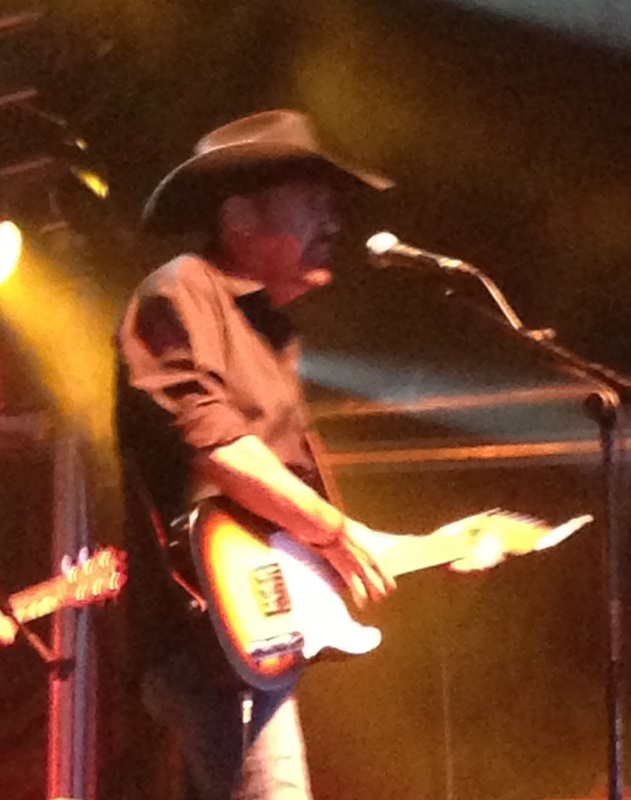 There is a point of view which defines Americana music as rock with a little bit of country, although a more preferable definition from my angle is where a sound draws on a blend of influences from the pool of rock, country, folk, blues and soul. 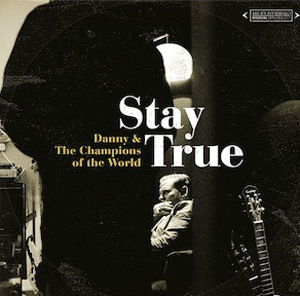 If you want to listen to an archetypal album that fits neatly into this package then look no further than STAY TRUE, the dynamic new record from Danny and the Champions of the World. In a switch from their previous releases which leaned more towards folk/rock, Danny George Wilson and his open invitation for guest musicians to become honorary Champs has added a more soulful feel to this album which is a bubbling mix of yesteryear designed to ensure the future is shaped with the right ideals. With a concoction of sounds very reminiscent to what Stax attempted to create in the sixties, Danny has let the creative ideas of both full time and part time Champs run amok and found a winning formula to house his vocals which echo of a bygone age. This fourth album since Danny formed the Champs back in 2007 will find its own niche in the mature and integrity preserved music market and will not need many listens to rocket towards the upper echelons of your appreciation scale. In fact one spin is probably all that’s needed to get on the same wavelength as Danny and the guys. You will be hooked three minutes and fifty seconds into this record as no time is wasted in introducing the stand out track. ‘(Never Stop Building) That Old Space Rocket’ is as good as opening song as you could expect and a delightful true tale of exploration, wonder and dream. The soulful feel to the album extends from the classic style ballad ‘Stop Thief’ to several other tunes including ‘Cold Cold World’, ‘Darling Won’t You Come In From The Cold’ and ‘Lets Grab This With Both of Our Hands’. For this record Danny, who has been active this summer with his solo acoustic set, has once again called on the full time Champs of Chris Clarke (bass), Paul Lush (Guitar), Steve Brookes (drums), Rosalie Deighton (vocals) and Geoff Widdowson (organ/sax).The contribution of honorary Champs is a long and exciting list including Melvin Duffy on Pedal Steel, folk duo Hannah Lou and Trevor Moss as well as the multi talented Bennett Brothers from The Dreaming Spires. Like minded artists Ahab and Foghorn Leghorn have also participated in the recording process. Listen carefully and picking out the multitude of instruments is not difficult. Two other tracks worthy of mention both possess a folk flavour to them with the banjo sound coming more to the forefront. It underpins the re-energising track ‘Breaking Out’ which anchors the mid part of the record and ‘Talkin’ About The Weather’ is another tune with a roots seasoning to it. ‘Time and Again’ is the perfect closing number dealing with a little reflection and a hit of regret. There will certainly be no regrets with getting yourself acquainted with STAY TRUE and when Danny and the Champions of the World hit the road this autumn with their high energetic live show the opportunity to savour it in a variety of lively small venues should not be missed. Album of the year? Too early to say. Contender? Definitely. 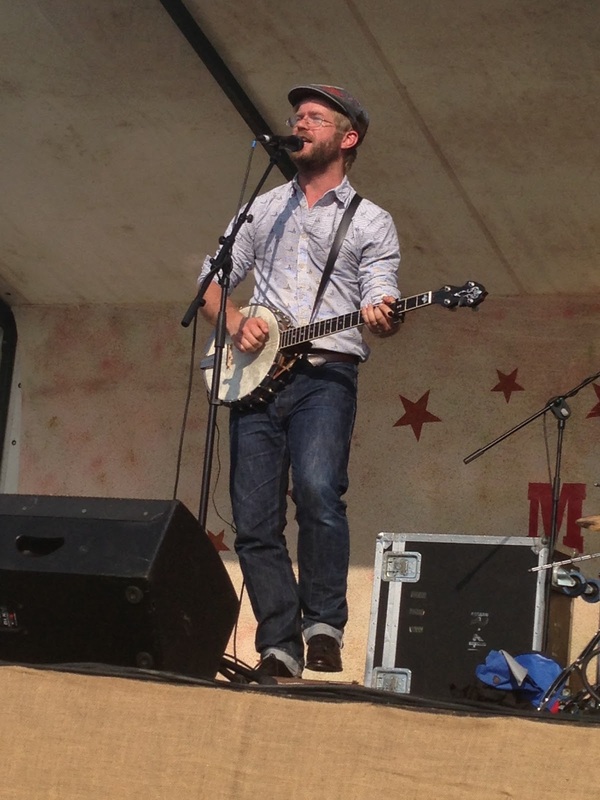 One of the positive aspects of this Leeroy Stagger tour is that he’s packing in the dates and getting quite a few Midlands bookings as well as the usual round of alt-country/Americana July festivals. On the back of playing Taylor John’s in Coventry and teaming up with Dennis Ellsworth for an all Canadian evening in Leicester, another stopping off point was the busy Hare and Hounds venue in Birmingham. opening set in a style that perfectly complemented the sound of Leeroy and his band. Another plus of The Misers booking is that their followers swelled the audience figures with the added bonus of Leeroy having an ideal opportunity to impress a ready-made crowd of like minded people. 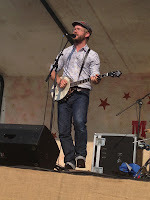 The Misers is the latest musical project of Neil Ivison and over the last four years have recorded two full length albums as well as securing a supporting spot with The Proclaimers. Various explorative areas of the music media have taken an interest in them and this was clearly understood having now seen them deliver a ten song set. The labels of roots rock, alt-country and Americana all sit comfortably on the crest of The Misers who successfully combine ramped up rock infused guitar amplification with a depth of composition associated with quality contemporary singer –songwriters. Although they were virtually on home territory with the audience, you could easily envisage the participation numbers ‘Lord Shuffle My Feet’ and ‘Give it up for Love’ getting an enthusiastic crowd going in other non-familiar settings. As well as drawing on material from their debut album AMPLIFIED LIFE STORIES and 2012’s A WEIGHT OFF THE MIND, the band were also previewing some new material and amongst these ‘All Night Long’ came over well on first listen. 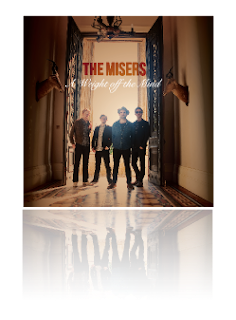 The Misers are definitely a band to check out and another example of a fine group of singer song writing musicians plying their trade away from the mainstream and who match up comparatively with the touring bands active in this style of music. 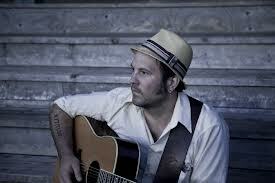 This leads conveniently to one such experienced practitioner of alt-country and prolific record maker Leeroy Stagger. Not an artist to rest on his laurels, Leeroy already has an eye on his next album which is beginning to take shape with some work at his UK label Clubhouse Records alongside promoting his current release the Steve Berlin-produced TRUTH BE SOLD. When seeing an artist twice in a week, there is a tendency to look for slight variations in the set whether song order, general banter or if a certain song raises its profile more on a second live listen. With one or two minor exceptions, the set list was very similar to the Leicester show reviewed, although one of the better songs from that gig ‘Mister’ was missed out this evening. On the plus side two other tracks from the latest album ‘ESP’ and ‘Have a Heart’ elevated their impressive status when projected from record to the stage. Leeroy was extremely positive about the buzzing venue in general, with bands playing in other rooms, and more specifically the format of the evening, even displaying a little bit of sharp wit with some of the front row. The band joined Leeroy on top form with Evan Uschenko switching between electric lead and Mandola and John Lent and Nick Secz stoking the rhythm engine room on bass and percussion respectively. Perhaps with one eye on returning home shortly, the guys asked themselves whether the audience should be left with a dose of Canadian rock before closing with Neil Young’s ‘Cinnamon Girl’. Although on this occasion Dennis Ellsworth wasn’t present to join in on an act of Canuck indulgence. Getting acquainted with the work of Leeroy Stagger via a couple of gigs and an album review has been a rewarding activity. While this chapter of his career closes, the next one involving further liaison with Clubhouse Records is an exciting prospect. In the meantime, another consequence of the Leeroy Stagger experience is the discovery of a band on our doorstep and it is perhaps The Misers that delivered the legacy of this Hare and Hounds show. 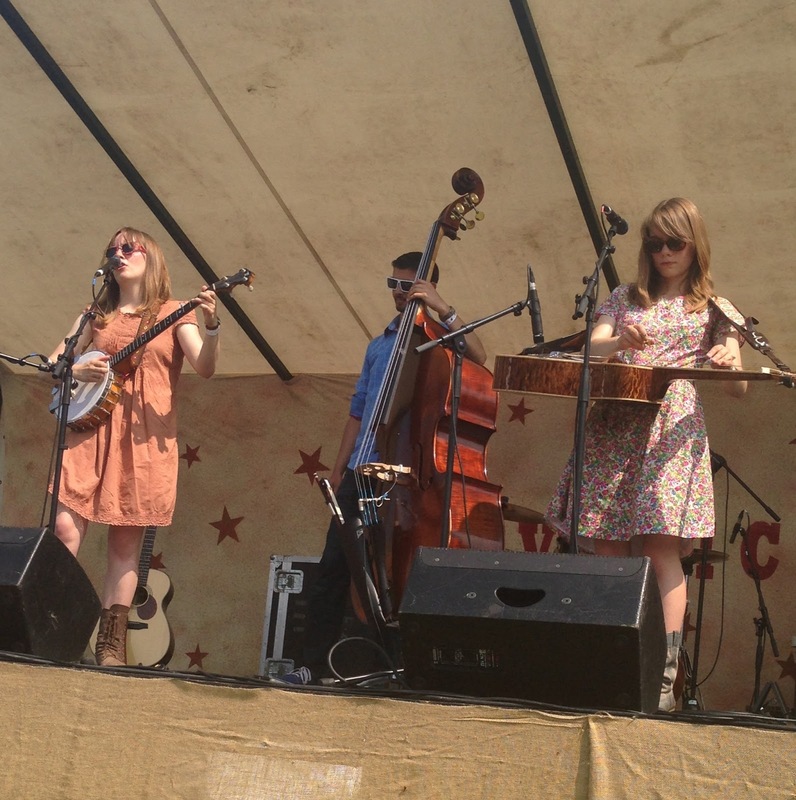 Twice in 2012, an opportunity to finally catch Canadian folk/roots duo Madison Violet live was thwarted. 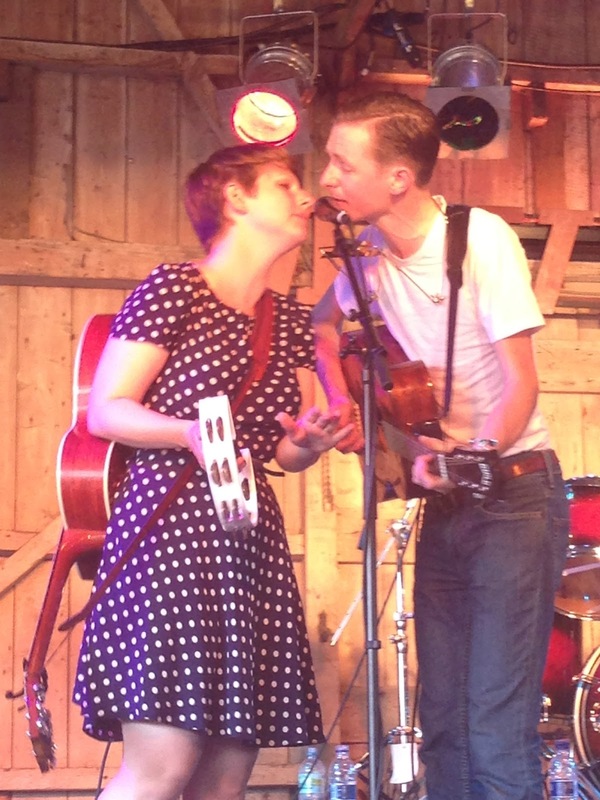 First inclement weather made a journey to Ross–on-Wye inadvisable then their late summer tour was curtailed for family reasons leaving a gap in their Shrewsbury Folk Festival slot admirably filled by Emily Barker. However twelve months later there is some compensation in the release of this live record that while not fully replicating the experience of being there does give a flavour of how the songs come across in their shows. COME AS YOU ARE – LIVE was recorded in Germany, to be precise at the Kulturkirche in Koln, and features sixteen previously recorded Madison Violet tunes plus a cover of Nirvana’s ‘All Apologies’ to conclude the recording. While existing fans of the duo will instantly connect with the beautiful harmonies, authentic sound and gratifying songs, this record is tailor-made to quickly weave its magic around new unsuspecting ears and leave its indelible mark. 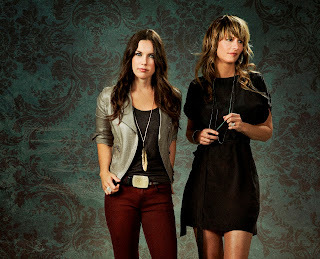 Brenley MacEachern and Lisa MacIsaac are the performers responsible for the listening pleasure that over the last decade has evolved from Madviolet to Madison Violet exporting the fruits of their talent from Toronto to a wider world especially Europe and the UK. The accolades and acclaims have been steadily accumulating in the last four years mainly due to their latest two albums released on the True North Records label. Of the seventeen tracks captured live for this new release, twelve have been lifted from 2009’s NO FOOL FOR TRYING and 2011’s THE GOOD IN GOODBYE. 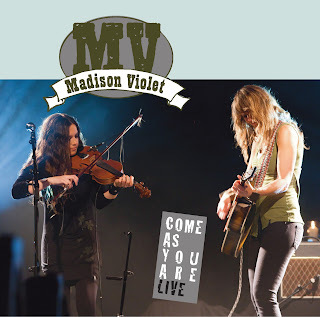 While existing fans will have to decide whether they want to re-invest in these songs, albeit in a different format, the exceptional quality of the live recording will make this album a perfect opportunity for new listeners to sample a taste of what Madison Violet are all about. In contrast to the other live album recently released by similar Canadian act, the Good Lovelies, COME AS YOU ARE – LIVE is all about the music as opposed to the between song stories and banter which was an integral part of the other’s record. Therefore the serving from Madison Violet is virtually wall to wall songs starting with the award winning ‘The Ransom’ before proceeding through a wealth of tunes showcasing their talent to write, sing and play an abundance of bewitching and alluring songs. The highlights are many but from a personal perspective they don’t come much better than ‘Cindy Cindy’, ‘Small of Your Heart’ and ‘No Fool for Trying’. You often get positive reports from US and Canadian artists on how enthusiastic European audiences are, in particular the German trait of participating in zestful clapping. Having heard several recent stories, my ears were alerted to this occurring at certain points on the record. However this appetite makes the continental market an important one for touring artists to conquer as well as making frequent visits to the old country. The good news is Madison Violet are returning to the UK in October for a number of dates when no doubt many of these songs can be heard in person and maybe some clues to what the future holds. So for me it may be third time lucky but in the meantime COME AS YOU ARE – LIVE is an enjoyable alternative that will unreservedly appeal to both new and old Madison Violet fans. 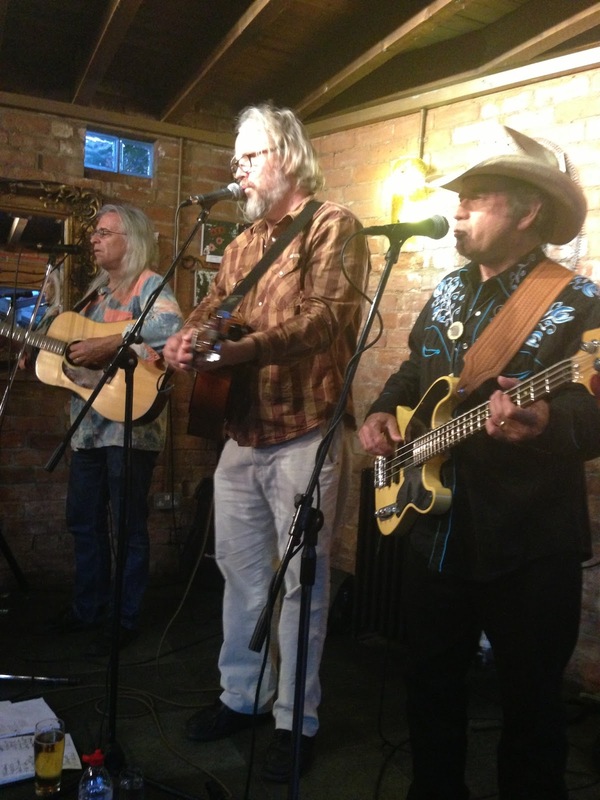 With each record made, the case for Sam Baker being held in the same esteem as many legendary Texan songwriters strengthens. It has been mooted that the creative spark for many writers in this part of the world is borne out of a necessity to see past the often barren landscape but for Sam much of his inspiration comes from being given a second chance of life after surviving a Peruvian train bombing in 1986. Either way SAY GRACE is a continuation of the highly acclaimed work to come from Sam who has recorded three previous albums on a regular basis since 2004. 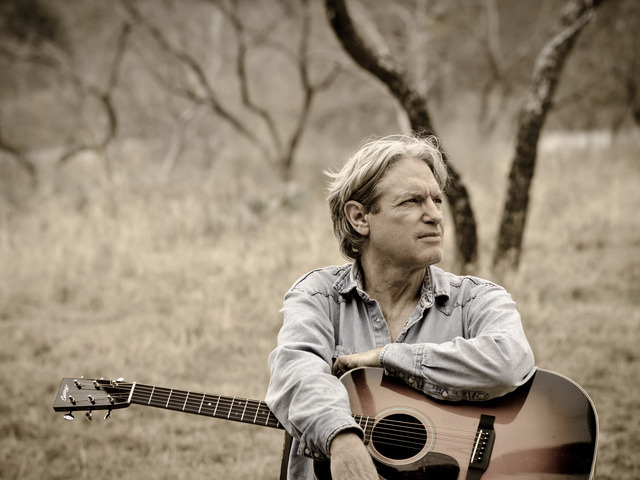 Sam Baker is a stimulating and gifted songwriter who was destined to share his thoughts with the world via song. Although ultimately words define his artistry as they perhaps leave the lasting impression, several listens to this album will draw you to the musical arrangements that create an experimental sound within the confines of a relaxed ambience. Also the monologue vocal style of Sam is ingrained with the earthiness shaped by the weathering of life. A comprehensive list of musicians including Gurf Morlix, Carrie Elkin and Anthony Da Costa have been assembled to assist Sam in the recording of the fourteen tracks which includes a short instrumental introduction to ‘Feast’ and a longer piano and violin led instrumental interlude. These restful parts act as a re-energising segment of the album which, while being thoughtful and astute, is an intense listening experience. 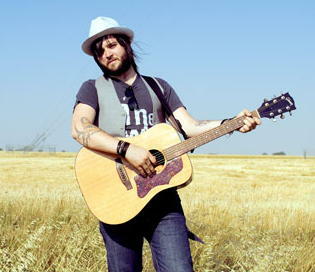 While a majority of the album’s tracks are straight from the pen of Sam Baker, he is not afraid to delve into sources such as a French medieval folk melody for parts of the interlude and ‘The Tattooed Woman’. Also ‘Sweet Hour of Prayer’ has its origins in the first half of the nineteenth century while ‘Go in Peace’, a co-write with Liz Rose is inspired by an eighteenth century hymn. 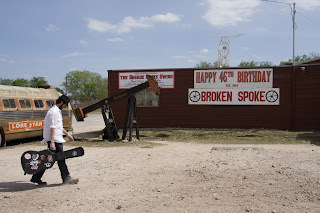 As is common in much of Texas music, a south of the border sound filters in with the accordion of Joel Guzman featuring in ‘Migrants’, a track that skirts the Mexican border very much in the same mould as Tom Russell. When recalling Texas songwriters, the vocal similarity to James McMurtry surfaces on several occasions as does a slight resemblance to Ray Wylie Hubbard while many of the songs have a deep substance to them very reminiscent of the work of Slaid Cleaves. 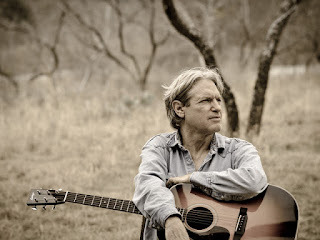 However despite these name checks, Sam Baker is his own man and the uniqueness lies within his ability to arrange the captivating songs using diverse sounds such as piano, pedal steel, brass and cello. 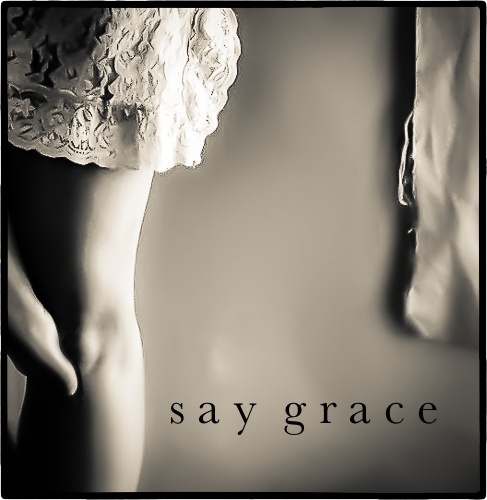 The omission of a stand out track is not a detrimental verdict on SAY GRACE, just that this album is best enjoyed as an entity to savour its true value. It may take a specific mindset to connect with this album but tuning into its groove will certainly be a worthwhile investment of your valuable listening time. Just over a week after Ruth Moody and the Good Lovelies shared a gig in Oxford, the summer of Canadian touring artists took a gender switch as this time the guys had the limelight for what was effectively a double billed Leicester show. From either side of the vast Canadian nation, Dennis Ellsworth, a Prince Edward Island native, represented the Atlantic Provinces with Leeroy Stagger hailing from over 4000 miles further west in British Columbia. While the contrast continued in their method of onstage delivery, you couldn’t split the exceptional quality that emanated from both artists. Dennis Ellsworth had the formal opening slot and reverted back to his solo set after having a blast with his hastily assembled band for the Maverick Festival and the Kelvedon gig. 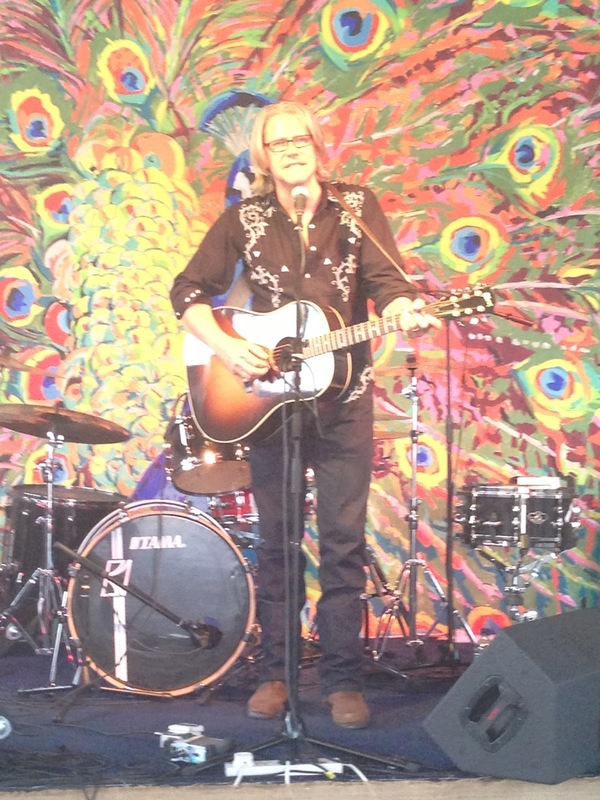 Dennis has been busy during this, his second, UK visit attempting to raise a profile which has been made easier by promoting a first class album DUSK DREAMS full of fine songs showcasing his singer-songwriter talent. 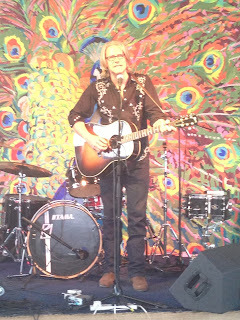 Delivered in a style which could be best described as reassuringly dark, those privileged to be present on this splendid evening were treated to some of the album’s gems, some material from his honky tonk side project Haunted Hearts and a preview of an upcoming release. Alluding to differences between the London area of the same name and the PEI neighbourhood which served as the song’s origin, ‘Park Royal’ re-confirmed its status as one of the album’s best tracks with the live version. A similar line could be adapted to the John Smith co-write ‘Perfect Storm’ with all the elegance of the studio version crossing over to Dennis delivering it with the aid of just an acoustic guitar. ‘Electric Stars’, ‘Clear Your Mind’ and ‘Messed up Kind of Way’ completed the current album offering with the mood changing ‘Happiness’ giving a brief glimpse of what will be available in the not too distant future, Perhaps the most poignant moment from Dennis’s set was his tribute to a late friend ‘It’s Gonna Be Strange’ showing the depth of sincerity that exists amongst his dry humour. The good news is that this is likely to be just the start of Dennis Ellsworth entertaining UK audiences and with the next record being on the brink of release, the wait for a follow up visit shouldn’t be too long. This wasn’t the last we saw of Dennis as Leeroy Stagger invited him back on stage to help with the evening’s final song, a cover of ‘Cinnamon Girl’ by fellow Canadian Neil Young. This brought to a close a storming set by Leeroy and his band, consisting of Nick Stecz on drums/percussion, Jon Lent on bass and Evan Uschenko on guitar/mandola. While there were quite a few rocking numbers from the excellent new album TRUTH BE SOLD, it was interesting to note that Evan switched to the more roots orientated instrument for a couple of new yet to be released songs, ‘Carolina’ and ‘Ten Long Years’. These have been put together in co-ordination with their UK release label Clubhouse Records in between dates on this UK tour to promote the latest album. Within a couple of songs into his impressive set, Leeroy understandably was keen to showcase the new record with first up ‘Goodnight Berlin’ before following later in the gig with the excellent ‘Mister’, ‘ESP’ and ‘Sold Me Down the River’. These and a load of older songs are classic alt-country cuts that demonstrate why over the last ten years Leeroy has been a much sought after talent for collaboration with. The bluesy ‘Highway is My Home’ showed one side of his song direction while the evocative ‘Radiant Land’ lent towards a more acoustic angle along with possessing an innate ability to capture a memorable tune. Leeroy informed the crowd of his previous Leicester visit when supporting a heavy metal band and at times was frank to reveal the importance of conquering his demons, best exemplified in the encore request song ‘A Long Way Home’. The two most recent albums which form the bulk of Leeroy’s live shows highlight the stellar form he is in at the moment and the proof on offer tonight will only add to the growing list of favourable reviews. Clubhouse Records have to be commended for adding such an immense talent to their roster and enabling him to hopefully prosper in the UK. As with the abundance of Canadian female roots talent, the male contingent offering a range of sounds from a folk bias right through to straight forward alt-country rock is of an equally high stature and a welcome addition to the UK scene. Whether live or on record, Dennis Ellsworth and Leeroy Stagger are worthy ambassadors for Canada’s musical export and their continued presence in the UK will only help raise standards over here. With the established Americana International Festival set to end its long association with the Newark Showground, there was a little end of an era feel to this year’s festival, although the visit on this occasion was limited to Saturday only. Over the last five or six years the Americana has introduced me to the talents of Wayne Hancock and Two Tons of Steel along with bringing to the UK such established artists as Paul Overstreet, Asleep at the Wheel and Gene Watson. 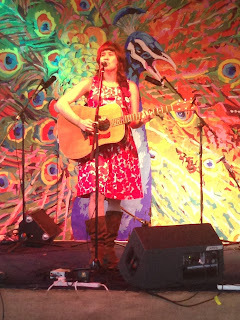 Whilst being predominantly a vehicle for straight down the middle high quality country music on its main stage, artists such as Eve Selis and Redlands Palomino Company have stretched boundaries while acts such as Raintown, Brian Hughes and The Diablos show that if you scratch the surface, genuine UK talent does exist. 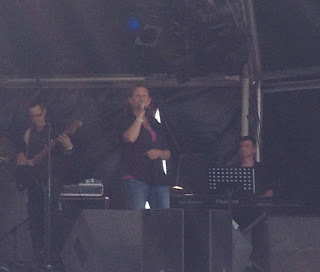 In what seemed like a little streamlining to the main stage for this year before its re-location to Loughborough for 2014, six acts split evenly between the UK and the US delivered a string of sets that while all of substantial quality, did tend to cover a similar strand of country music. 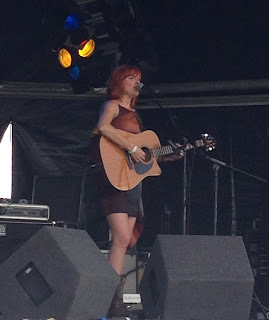 Perhaps the one exception was UK singer-songwriter Kezia Gill who opened up proceedings with a set of both original and cover songs delivered with the support of a solitary guitar and accompanying harmonica player. 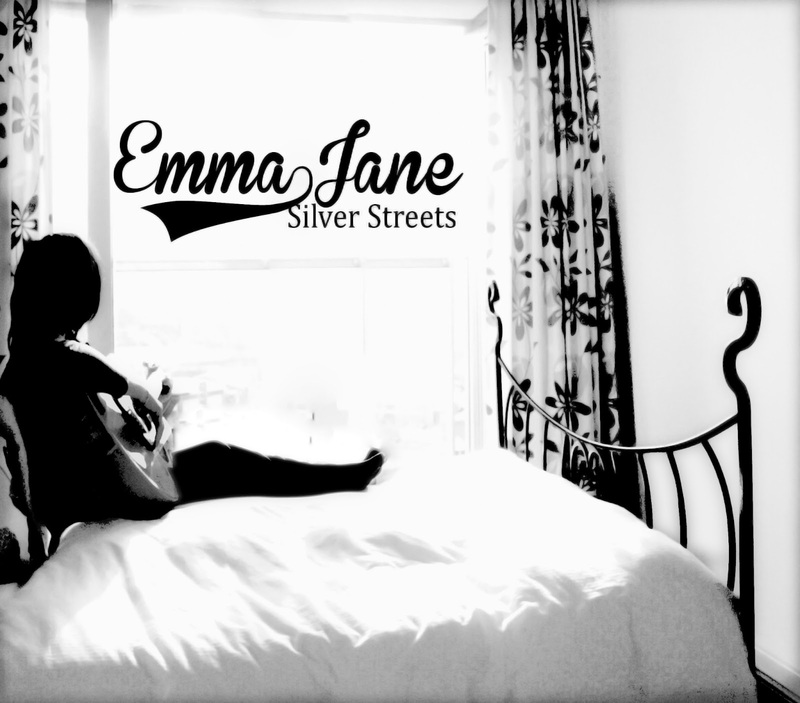 Despite being a little apologetic about being the only act not to be backed by a full band, her strong voice and good mix of songs came across extremely well to such an extent she could be an artist worth exploring. Although steeped in country music influence, there were glimpses of being prepared to experiment in different strands of the wider Americana movement. One of the positives of the UK country bands regularly booked to play the main stage is the importance attached to original material and not to fall back on lazy cover versions that while appeasing crowds do not necessarily move the genre forward in this country. The Sonny Walters Band who took to the stage straight after Kezia proudly announced at the start of their set that the focus would be on their songs and it was refreshing to listen to an hour of music without reference to Johnny Cash, George Strait and Garth Brooks. So fair play to this UK band that showed the way forward to a lot of artists plying their trade on the UK country circuit. Next up was the first of the three US artists and living proof of the power of genetics. There is no mistaking that a lot of Tammy and George’s vocal talent legacy lies within Georgette Jones and while her own recording career has yet to hit such highs, she seems quite content to carry on the family flame. This particular set as you would expect was full of covers but you have to grant permission to Georgette and the genuineness of her ability to re-create the family songbook is something to treasure. For about an hour on this warm and sunny Saturday afternoon there was probably no finer place to be and let a stream of classics drift across your mind, topped with one of the most brilliant, poignant and cutting of any country song ever written ‘Stand by your Man’. Henry Smith is a much loved figure on the UK country scene and, with his Country Dreams backing band, is thoroughly capable of performing a high quality brand of mainstream country music. Although original material formed part of the set, there was a tendency to reel off a fair proportion of standard covers as the set raced along at a fairly rapid pace. Playing the music was the order of the day for Henry and his fans in the audience lapped up every moment of the performance. The band made a return to the stage to play with headliner Billy Yates as the sun finally dipped and at the conclusion of their two appearances, you couldn’t help but admire their positive contribution to the day. While much of the material and music was similar, the gender split added to the diversity with Mandy Barnett, all the way from Nashville Tennessee, using this inaugural UK visit to showcase her marvellous vocal talent. There was a small amount of original material from Mandy’s limited back catalogue which does include a record made with legendary producer Owen Bradley and this was referred to on several occasions. Yet Mandy’s forte is her ability to re-construct the traditional and classy style from the pioneering heyday of female talent first being accepted into the conservative world of country music. She rose to fame in the US with her role in a Patsy Cline tribute and this was the central theme for a set that went straight to the adoring heart of many of those present. While Mandy Barnett was making her first UK trip, headliner Billy Yates is a veteran of many visits and has been a regular at Americana over the years. You only have to listen to Billy for a few songs to understand why he is highly acclaimed back home and the respect he has gained from some of the country music greats. For a songwriter who has had their material cut by Kenny Chesney, George Strait, Willie Nelson and Ronda Vincent, you can excuse the name checking and the indulgence of a little role reversal such as covering tunes like ‘All My Exs Live in Texas’. The link between Billy and Georgette’s father was very strong in George’s final days and he duly paid the ultimate tribute with the plain speaking ‘There’s only One George Jones’. There were hints in the programme of a slight change in the focus and musical direction for the next phase of Americana International. While it will always be primarily a lifestyle festival, it is still hoped that organiser Chris Jackson intends to offer first rate country music both home grown and imported within the realities of his budget. Americana International has a role to play in raising the standard of live country music at this non-corporate level and it would be a pity if circumstances dictated otherwise. This sultry Sunday evening in the Kitchen Garden Café had a double southern Californian feel about it. 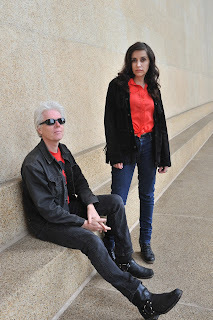 Not only did the soaring daytime temperatures linger long after the sun went down but a little bit of west coast sparkle was in the air as I See Hawks in LA popped along to play a gig towards the end of their UK tour. 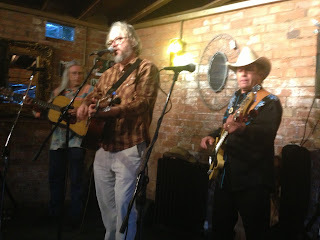 Straight off the back from a critically acclaimed set at the Maverick Festival, the band led by Rob Waller on guitar/vocals and capably flanked by fellow guitarists, Paul Marshall and Paul Lacques illustrated a vision of the west through their expansive songs and country influenced sound. Without any support, the guys played a pair of ear pleasing fairly laid back sets that satisfied an audience prepared to sit back and absorb the listening pleasure of a band saturated in Americana virtue. I see Hawks in LA have been fortunate enough to secure the funding for two very recent back-to- back releases and songs from these records dominated most of this show. 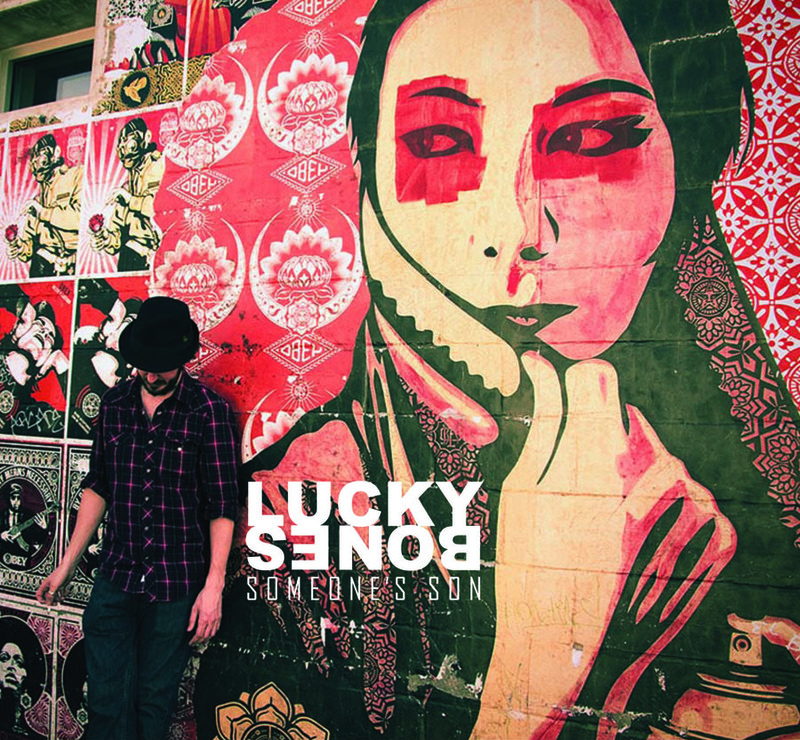 Two tracks immediately stood out from the 2012 album NEW KIND OF LONELY when heard live. We were introduced to a flavour of their home state with a description of the ‘Bohemian Highway’ and to the fact that between the three of them, they had seen the Grateful Dead in three separate decades thus inspiring the song ‘I Fell in Love with the Grateful Dead’. The invitation to visit them in their proud home state of California may have been metaphorical but the sincerity of their onstage presence is part of the I See Hawks in LA charm. Also from this album we were treated to the title track, the evening’s opening song ‘Mary Austin Sky’ and as part of a two number encore ‘Highland Park Serenade’. However one on the prime purposes of this current UK tour is to promote their brand new record MYSTERY DRUG and several excellent tracks from this top album were shared with the audience. ‘Oklahoma’s Going Dry’ shows the band’s perceptive view on the issues of the wider west and you couldn’t fail to be impressed by the melodious tones of ‘If You Remind Me’. Two other tracks from the new album that came over well live were the almost hypnotic ‘One Drop of Human Blood’ and the amusing ‘Rock n Roll Cymbal from the Seventies’. There were high hopes that one of the best tracks heard anywhere this year would appear somewhere in the show and it duly appeared mid way through the second half. ‘We Could All Be In Laughlin Tonight’ is a wonderful road song of a band trudging around the lowlife venues but still holding a torch to a prosperous future. Needless to say the performance of this song was not only majestic but one of the highlights of any song performed live this year especially when Rob sang the immortal line ‘here’s the band menu tonight, order anything you like, no lobster, no steak, no top shelf delight’. After that song the evening couldn’t be topped but the band still pulled out all the stops to keep their quality brand of country rock, folk and Americana flowing and treat the responsive crowd to an extra helping including the epic ‘The River Knows’ as one of the show closers. The reluctant but necessary curtailing of their Maverick Festival set to see other artists had been fully redeemed. Rob joked afterwards whether the good or bad half was seen but many audiences seeing I See Hawks in LA live on this tour know the word bad isn’t one that enters your mind after exposing yourself to their dulcet tones. 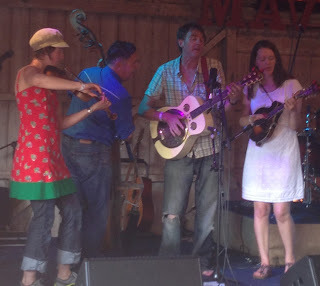 It may have been July 4th but it was very much an extension of the Canada Day celebrations as the Good Lovelies and Ruth Moody teamed up for this double header at The Bullingdon in Oxford. Both artists were approaching the end of their 2013 UK visits and well established promoters Empty Room Promotions snapped up the opportunity to arrange for them to share the billing only a couple of days prior to their appearance at the Maverick Festival. In true egalitarian style, each act was granted an hour and a quarter for their set and you could have quite easily interchanged the running order and still matched the success of the evening. It is not quite sure whether these artists have shared a bill before but their styles created a perfect dovetail to ensure the reasonably sized audience were able to enjoy a comprehensive serving of Canadian roots music. The vivacious aurora and engaging chemistry of a Good Lovelies live show is a wonderful experience with their radiant personalities emanating a feel good mood around the venues they frequent. Ruth Moody focuses on her strengths and delivers a more intense show with her golden voice and intricate songs left to enthrall audiences. These contrasting styles were witnessed in separate shows last year and while this double header slightly reduced their individual time on stage, the appreciative crowd were clearly the night’s major winners. Hailing from Toronto, the Good Lovelies are on their third UK visit with the trio of Kerri Ough, Caroline Brooks and Sue Passmore growing their list of admirers each time. Without a new album to promote, as the girls have been rather busy doing other more important personal things, the focus had to be on material from their previous two releases along with some carefully chosen covers. Amongst the highly catchy tunes delivered were ‘Made for Rain’, ‘Free’, ’Crabbukit’ and ‘Kiss Me in the Kitchen’, admittedly all personal favourites from the 2011 LET THE RAIN FALL album. 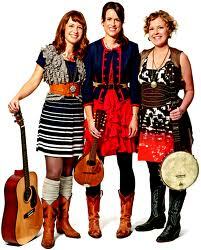 By contrast, Winnipeg based Ruth Moody is a seasoned visitor to these shores both as a solo artist and as part of the long established Wailin Jennys. 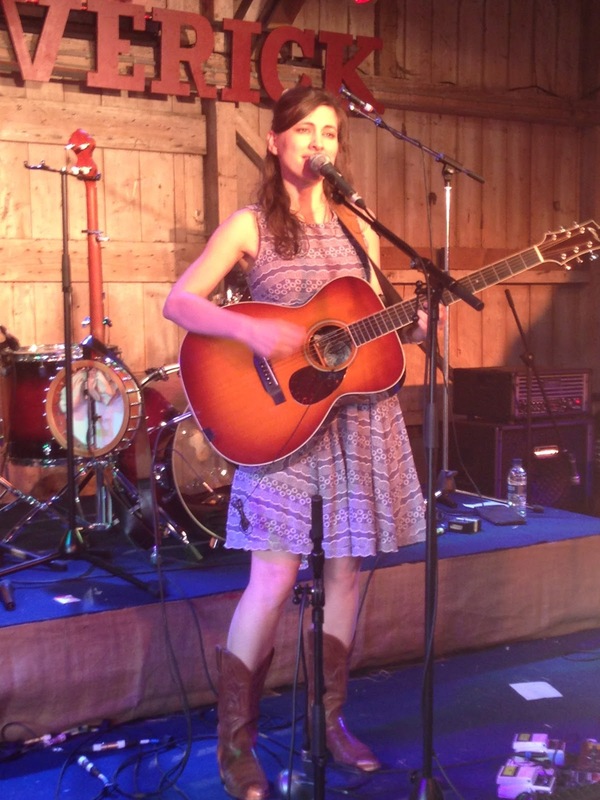 Calling Ruth a solo artist is not strictly true and, as previously, she was joined on this tour by Adam Dobres (guitars), Sam Howard (bass) and Adrian Dolan (assorted strings/accordion). Ruth is also using this tour to promote her excellent new album THESE WILDER THINGS and amongst its many fine songs we were invited to enjoy the delights of ‘Trouble and Woe’ and ‘One Light Shining’. Slightly more tracks were played from her debut solo release THE GARDEN including the classy duet ‘We Can Only Listen’ on which Sam stepped forward to share the vocal duties. Each of the Good Lovelies take turns to address the audience as there is an abundance of cheerful and often humorous stories surrounding their songs. These include the famous t-shirt incident and that the background to ‘Mrs T’ is not our late PM. In a change from seeing the ladies last year, they elected to replace their version of ‘Hallelujah’ which went down a storm in a church setting with an equally impressive performance of the traditional song brought back to life by Johnny Cash, ‘Gods Gonna Cut You Down’. The next best thing to experiencing a Good Lovelies show is listening to their latest live album and as on that recording this Oxford audience were required to help out on the vocals of the stirring final song ‘Lie Down’. Ruth has been getting extensive coverage of her version of Springsteen’s ‘Dancing in the Dark’ which appears on the new album. After being slightly sceptical about how this song can be transformed, the live performance of this slowed down back to roots revamped version has ultimately won me over. In addition to this cover, Ruth also played the popular Jennys’ tune ‘Glory Bound’ and paid respect to the traditional song of these shores with an invitation for the audience to join her in singing ‘Bold Riley’. For the record, the Good Lovelies delivered their set first but the key feature was the opportunity to sample both artists in a single evening at a very modest outlay. The likelihood is that both artists will return to the UK in some format in the future and, whether or not this special evening is re-created, the opportunity to expand your experience of live music will be augmented by getting to know the Good Lovelies and Ruth Moody a little better. With the usual ingredients of double bass, banjo, fiddle and a vast array of different guitars, plus the sunshine that materialises to order each year, the sixth Maverick Festival once again turned Easton Farm Park into a little piece of Americana nirvana. This fast expanding genre has seemingly found its home in the rural surroundings of deepest Suffolk and while there are other highly laudable festivals for this music, Maverick has perhaps the largest gathering in the UK of likeminded artists under a single ticket. From the opening bars of London band Mad Staring Eyes (or in its singular form on this occasion) launching the Clubhouse Records dominated Peacock Café on Friday evening to the delightful Carrivick Sisters closing proceedings in the mid Sunday afternoon heat, the procession of quality artists was relentless, rewarding and refreshing. The downside of any festival is the yet to be discovered ability to have a simultaneous presence at more than one stage so apologies to any artist omitted from this review. A precision planned agenda was also strictly adhered to as there were so many artists who have raised their profile with me this year and this was a wonderful opportunity to see many live for the first time. 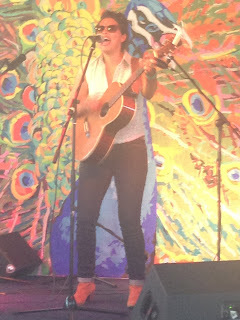 So sit back for a highly structured and chronological journey of Maverick Festival 2013. Like most of the weekend, time was spent on Friday evening split between the Barn and the Peacock Café. This decision was based on the latter being almost the domain of artists signed to the evolving stable of talented acts known as Clubhouse Records. Prior to checking out the other stages, a trio of performances caught the eye and definitely raised their awareness as all were on my radar awaiting the opportunity to impress. The folk influenced style of Troubadour Rose was first out the blocks and they managed to overcome the sound distractions of a nearby stage to deliver a great set of roots- infused music. The more upbeat output from The Cedars was to follow and their exciting vibrant sound confirmed the admiration given to them by many trusted online sources. In between, Paul McClure completed this Clubhouse trio with a highly entertaining bout of competent and confident singer-songwriter material flavoured with a dry spontaneous wit which depicted exceptional, if unintended, comic timing. Hopefully all three will receive further coverage here in the future. Redlands Palomino Company and Case Hardin were the other Clubhouse acts and while the former have long been firm favourites, it is hoped to catch up with the latter sometime in the future. Unfortunately they both missed out to the strong calling of finally catching, after a number of visits, a Police Dog Hogan set. Also there was the evening’s highlight of the UK return of the fabulous Eileen Rose. Now settled in Nashville after moving around for many years, the rejuvenated Eileen showed all the old sparkle that has endeared her to UK audiences. With a hot off the press new release proudly brandished (and is rather good), she impressed immensely throughout her set which also showed the Barn audience why the Legendary Rich Gilbert is known as such. His guitar playing was spellbinding whether on pedal steel or full on electric and will certainly remain in the memory bank for a long time. The Saturday of Maverick, as in my previous four visits, was once again blessed with warm sunshine and there was no better launch of twelve-plus hours of music than ‘Lulu Walls’ by Porchlight Smoker. This Brighton-based four piece band has been continually acquiring new fans over the past year with a sound which straddles a multitude of sub genres, all true to the core of American roots music. Amongst the early Barn performers was a duo who gave a spine tingling demonstration of how to capture exquisite harmonies around a single mic. The latest album by Hannah Lou and Trevor Moss is good and many people have raved about their live shows. Quite frankly, for forty minutes on Saturday lunch time they blew me and many others away to fully justify these reviews. Just before indulging in some afternoon sun at the main outdoor stage on The Green, a self determined promise to watch the set of Scottish singer-songwriter David Latto was fulfilled. David, undertaking a rare venture south with his sidekick Gavin, produced a great self titled album at the end of last year and enough people hung around the Barn to hear some fine songs including the impressive ‘God I’m Drinking Tonight’. David is the sort of UK Americana talent that needs developing and supporting to enhance the home grown band of artists. The first artist witnessed who was entertaining those basking in the welcome rays on The Green were the highly sought after Carrivick Sisters. Firm favourites of the festival scene, the siblings from Devon have a traditional sound that flirts between bluegrass and orthodox folk. Their talent and sincerity to this art form is self evident when catching them live and this slot at the Maverick Festival saw a double bass added to provide more rhythmic support. Next up on the outside stage was Californian country outfit I See Hawks in LA and for a brief moment you could have been excused for letting your mind drift thousands of miles west to the Sunshine State. While it was hard to drag yourself away from this piece of west coast magic, the bonus was knowing you were going to one of their gigs a mere 24 hours later. Anyway, the added appeal was returning to the Barn to savour the set of Sussex’s finest exponents of Appalachian and folk fused roots music, Hatful of Rain. From the stable of Lewes based multi faceted music enthusiasts the Union Music Store, the beautiful tones of Chloe Overton supplemented by the versatile string playing of Fred Gregory and the driving beat of bass man Phil Jones set Hatful Rain apart from many other acts. Their last album was exceptional and there are high hopes for its eagerly awaited follow up. A Canadian combination of blog favourites The Good Lovelies and Old Man Luedecke completed the outdoor stage line up as the afternoon turned the corner into evening which always seems a shame on such a beautiful day. These two artists never fail to deliver an enticing show whether wooing festival crowds or entertaining avid fans at their headline gigs. The Maverick Festival was the ideal setting for them to complete their 2013 UK trips and there is no doubt that there will be open invitations for them to return in the future. The strong links between Canada, the US and the UK are central to the ideals of the festival which by its stature will always seek value for money artists together with a consistent track record of not compromising on quality. 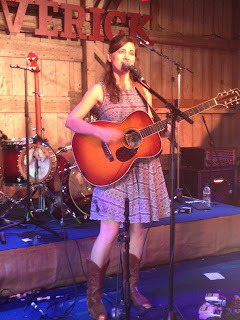 A little bit of a truncated set by high quality Canadian roots star Ruth Moody and her band was eased by catching one of her own shows live 48 hours earlier but the joy of hearing her golden voice even for a couple of songs was unmissable. Inevitably there are going to be infuriating clashes when so many must see artists gather in one place and on this slightly cooling Saturday evening once again the Peacock Café proved a greater draw to me than the Barn. Danny George Wilson led off in the venue with the iconic backdrop and he was definitely preaching to the converted with a solo Champs-less set that was enthusiastically greeted by his faithful. 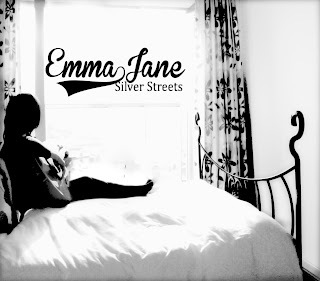 Next up was a chance to hear tracks from one of the best albums to emerge from a UK Americana artist this year. 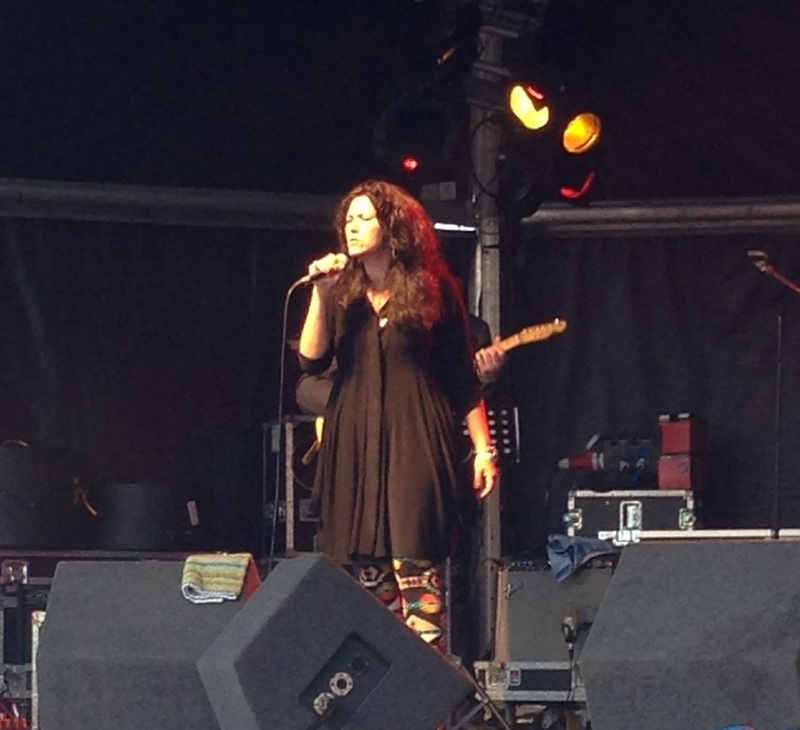 Danni Nicholls didn’t disappoint with her set as she went about re-creating the powerful songs from A LITTLE REDEMPTION which received a highly favourable review here. Previously Danni had appeared solo at this festival but for 2013 her set had evolved with two supporting musicians. This highly recommended artist is one to look out for, both live and on record. 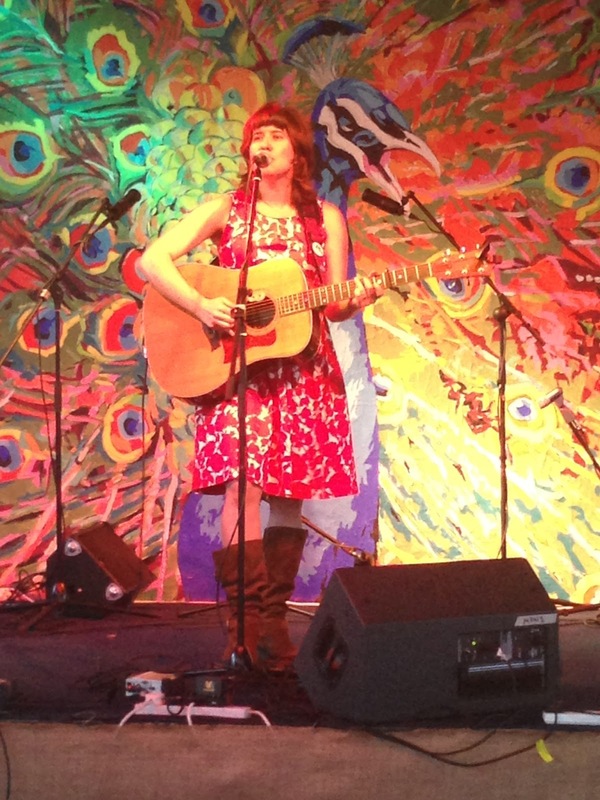 The final three acts to grace the Peacock Café stage each made a significant mark albeit in their differing styles. Anna Coogan impressed with a bunch of fine songs embracing a little bit of country and lot of folk. The Twitter request for the captivating song ‘Red Shoes, Black Dress’ demonstrated the great taste of the requester and her overall set, including the nine minute long ‘The Crucifixion,’ won many plaudits from those electing to sample the charms of this singer-songwriter haven. For the slot allocated to another Canadian, Dennis Ellsworth, a mini band including festival organiser Paul Spencer on drums and legendary UK pedal steel guitarist BJ Cole was assembled as the heat was turned up in the Peacock. The strength and crowd pleasing nature of this set thrilled a packed venue as Dennis flavoured his songs with a touch of country and led a sing along version of Townes Van Zandt’s ‘Heavenly Houseboat Blues’. The end of this set paved the way for festival’s major overseas booking to take to the Peacock Café Stage and show why they are still a fabulous talent on the US alt-country scene. 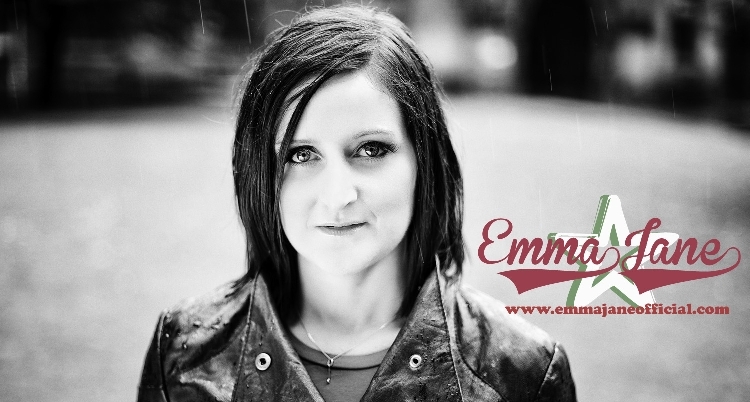 It may have been nearly a decade since Mindy Smith shot to fame with her stunning version of ‘Jolene’ and the subsequent AMA award but this accomplished Nashville artist, once getting to grips with a few sound issues, displayed the talent that won her those accolades. Unfortunately the hour long performance started a little late and thus prevented catching the Leeroy Stagger late night Barn set but with opportunities to see him live later on the tour, there was no regret in savouring this rare UK performance by Mindy Smith. While in essence the soul of the Maverick Festival resides within the full Saturday programme, a fair number of punters turned out for the short finale comprising of the now established Sunday gospel brunch. As well as seeing second performances by Hatful of Rain and the Carrivick Sisters, this bonus day presented an opportunity to catch a set by a band which by all accounts had gone down a storm on Saturday. 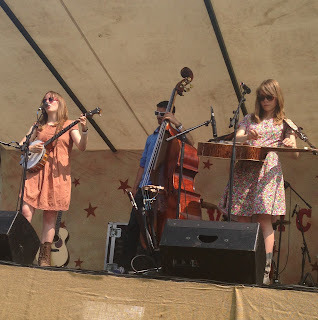 The energetic Rainbow Girls succeeded in engaging the audience in a high octane bout of roots music which echoed with an authentic and natural charm. A late addition to the festival saw a performance by the excellent Polly and the Billets Doux who with a combination of double bass, drums and electric guitar, delivered a string of infectious songs to those intent on putting the diversion of events from SW19 on hold and getting their fix of Americana music right to the sad eventual end. From the perspective of an outside observer, Maverick 2013 was another unreserved success. Always at the end of such a relatively small scale operation, you hope the numbers add up and the books balance. With the launch of the American Music Association UK body at their inaugural conference on the Friday of the festival, the optimism surrounding this genre of music is growing. The Maverick Festival is a central focal point for this movement and its healthy future needs to be treasured, nurtured and encouraged to flourish. Along with the strong historical, political and social ties between the USA and Ireland, there exists an inseparable cultural one which seeps right to the core of the musical roots of both nations. 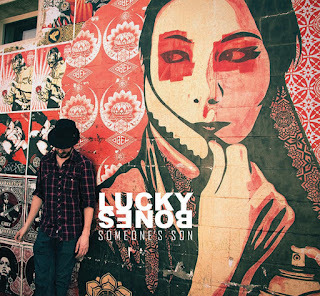 Dublin based outfit Lucky Bones are the latest band to seek to cement the link and their new album, SOMEONE’S SON, is a gratifying dose of Emerald Isle Americana sprinkled with a little bit of Texas dirt. This follow up album to 2011’s TOGETHER WE ARE ALL ALONE sees Eamonn O’Connor and the boys once again team up with Texas producer Stephen Ceresia to create a record that’s rich in stimulating songs underpinned by a mixture of string and keyboard sound. The album tips it hat to the power of the melody and is an excellent example of how a profound approach can produce a sound that captures the spirit of the lost highway. The eleven tracks contain occasional bursts of frenzied activity yet the underlying vibe is a more passive one where waltz like ballads guide you through the subject content of O’Connor’s mind. Examples of the more upbeat content include ‘Baby Please Don’t Pull Me Down’ and ‘Born to a Holy Land’, the latter invoking a more passionate style of song delivery. However you get the impression of the band being more drawn to a softer sound especially with ‘Forever with Wings’ and the pair of melodic back to back country feeling efforts ‘Someone’s Son’ and ‘Passion Played’. O’Connor is joined on this record by Leon Kennedy on bass, Conor Miley on keys and assorted guitar from Peter O’Grady. Together they ensure a powerful vocal clarity decorates a collection of songs containing pockets of inspiration amidst a wealth of engaging singer-songwriter staple. ‘Broken Love Song’ with a mixture of prominent guitar and keyboard has a commercial feel to it that could open doors but the soul of the album lies within an immense climax that sees the record leap forward into ‘what next’ mode. This climax starts to evolve in the tender sad song ‘Won’t Be Coming Home’ before maturing into the inspirational gospel-esque anthem ‘Who’s Gonna Follow Me Down’ with its sing along tendencies and ability to raise the hairs on your neck. Just when you thought the album had peaked, the closing number, ‘The Usual Places’ springs upon you as the stand out track. The introduction of fiddle to this great tune and melody really hits the spot as the band manage to bring all their sounds together to leave you desiring more. Therefore it ranks as almost the perfect final number. Despite waiting 44 minutes until the album’s truly outstanding moment, SOMEONE’S SON is not a difficult listening experience. In fact there is sufficient instant appeal from a band successful in populating an alt-country template to warrant seeking it out and explore further the continual transatlantic liaison between the two lands of Ireland and America. I am sure Gretchen will not mind this review opening with a small tribute to the contribution made by Christine Bougie to her live shows over the last eighteen months. Having seen Gretchen many times, either on her own or just with Barry, the addition of Christine at the start of the Hello Cruel World Tour has really been the icing on the cake. Whether offering up some luscious lap steel, tender percussion or backing bass, the wonderful songs composed by Gretchen are brought to life and allowed to flourish in a sound reminiscent of their Nashville,Tennessee origin. On her homeland’s national day, Toronto based Christine gave a sublime performance, excelling on many songs notably ‘Idlewild’ and ‘To Say Goodbye’. Having previously worked with the Good Lovelies, she is set to link up with Madison Violet in the near future and is surely a much sought after talent. ‘Hello Glastonbury’ was how Gretchen greeted the Bromsgrove crowd, one that were probably more akin with the late Davy Jones’ Monkees rather than the Arctic Monkeys. Incidentally, she covered ‘Last Train to Clarkesville’ in Bilston last year as a tribute to Davy but it was a return to the regular covers for this show. The high of appearing at one of the world’s premier music festivals 24 hours earlier had clearly not yet worn off for Gretchen. Having shrugged off the disappointment of not sharing ‘Wild Horses’ with Mick, a more than able deputy stepped up in support artist Ben Glover, who had previously warmed up the audience with his affable brand of country tinged singer-songwriter music. Ben also satisfied Gretchen’s appetite for a Gram Parsons duet, with ‘Return of the Grievous Angel’ being every bit as good as their Couch by Couch West video offering. 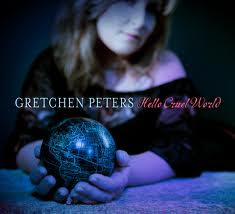 The well appointed and spacious Artrix Arts Centre was honoured to host this 'farewell to the UK for now' gig and the final time Gretchen will base a UK show around her outstanding album HELLO CRUEL WORLD. That is until she returns for its 20th anniversary celebration in 2032! It was fantastic to hear these timeless songs in four different venues on each of the last few tours and it is credit to the Artrix that the sound here was as good, if not better, than anywhere else. There is the promise of more to come from this venue and there is definitely a potential to host further touring acts and become a prominent country, roots, folk and Americana venue in the western part of the Midlands. All the old favourites have now been restored to the set list since HELLO CRUEL WORLD was played in its entirety on the first tour. The solo piano re-working of ‘Independence Day’ has breathed new life into a classic song while any version of ‘Secret of Life’ is welcome in my book, either Gretchen’s slowed down original or Faith Hill’s punchy upbeat hit. Whenever ‘On a Bus to St Cloud’ is played there is an overwhelming desire to close your eyes and let this masterpiece majestically take you on a moving journey. An interesting addition to this evening’s show was ‘When You Are Old’, which received a nod of approval from many audience members. 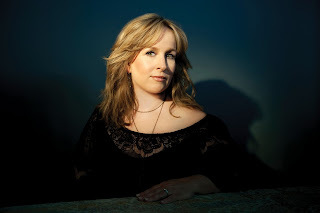 It’s been a pleasure to listen to Gretchen Peters, Barry Walsh and Christine Bougie, share the fruits of one of the finest contemporary singer songwriters operating out of Nashville, in the clubs, halls, festivals and theatres of the UK. A well deserved break and hopefully a re-connection with her creative genes is central to the agenda now and thus we must patiently wait for the next UK visit. So whether it is another Wine Women and Song outing or the tough follow up to HELLO CRUEL WORLD, the countdown has begun.